Repco Bank probationary officer recruitment 2016-17 notification apply for 75 posts : Repco bank welcomes application for the position of 75 probationary officer and junior assistant / clerk vacancies.Candidates who completed their Post – Graduation, Graduation is a good opportunity.The individuals who are the occupation seekers searching for govt employments in India this is the best chance to apply. Competitors read the official notification then read all the guidelines and miners precisely then apply before the last date online application got. All the interested and eligible candidates can apply before 31st August 2016. Candidates Age Limit: The age of the candidate should not be less than 21 years and should not be more than 30 years. The age of the application for the application should be as on 1st August 2016. Academic Qualification Details: Candidates should have graduation or post – graduation in any discipline with 1st class / 60% marks from any university recognized by the government. Candidates Age Limit: The age of the candidate should not be less than 21 years and should not be more than 28 years. The age of the application for the application should be as on 1st August 2016. Academic Qualification Details: Candidates should have graduation in any discipline from any university recognized by UGC. Details of Fee particulars: All the interested and eligible candidates are need to pay For Probationary officer Rs 800/- and for junior Assistant / Clerk Rs 650/- application fee through online.For SC / ST / PWD / ECSM / Repatriate For Probationary officer Rs 450/- and for junior Assistant / Clerk Rs 350/-. 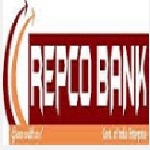 Official website: All the interested and eligible candidates can apply online through official website of Repco bank www.repcobank.com from 11th August 2016 to 31st August 2016.